Samsung will gain a lot of attention this month because they are going to announce the Galaxy S9 and Galaxy S9+ on February 25, yet here we are on February 2 continuing to find out about each phone’s specific details. 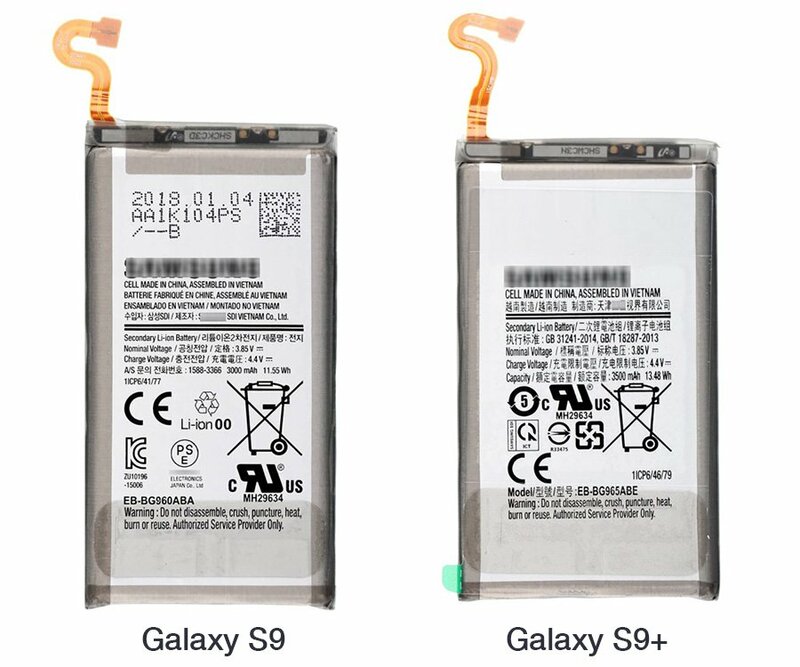 Today, a leak shows the battery capacities of the Galaxy S9 and Galaxy S9+ and for those who are wondering, they are the same battery capacities as last year’s Galaxy S8 and S8+. The images above show batteries under part numbers EB-BG960ABA (Galaxy S9) and EB-BG965ABE (Galaxy S9+which matches the model numbers of each phone (SM-G960 is the S9, SM-G965 is the S9+). The 5.8-inch Galaxy S9 and 6.2-inch Galaxy S9+ are said to have stereo speakers, rear-mounted fingerprint scanners, Qualcomm Snapdragon 845 system-on-chips or Samsung Exynos 9810 chipsets (depending on region), and up to 6GB of RAM. Both will be able capture “super slow-mo” video in 480fps at 720p, according to Blass, and the primary 12MP cameras can switch between two apertures. We’ve also heard that the Galaxy S9+ will allow you to add stickers or images and adjust their depth using the phone’s dual rear cameras. If the rumors are true, the Galaxy S9 and Galaxy S9+ will begin shipping and selling through retail outlets on March 16.